i loove that jumper!! and the fluffy bag is so great!! :) cost per wear is the only logical way to shop... completely stand by it! COST PER WEAR IS MY MOTTO OF LIFE!! I'm such a splurger it's unreal! Love the look, the shirt is so cute ! I'm the same I wear my fur coat as a dressing gown because I spent £100 on it, which is the most I've spent on anything ever! LOVE this outfit, and defo a good outlook on the money spent on items.. worth it if you wear them! 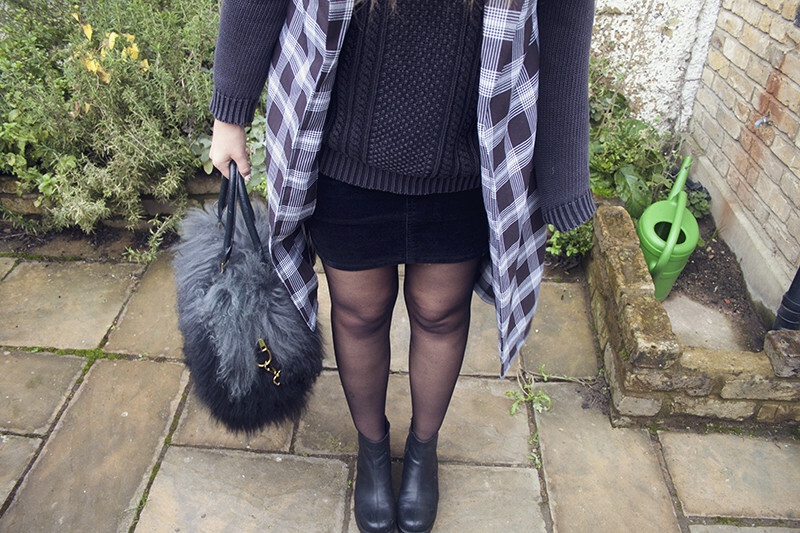 This is a perfect autumn outfit! Love the boots and bag especially. I think it's a great way of justifying your expenses, I do it myself! I totally agree with the cost per wear, I think I've gotten my money's worth of my Jeffrey Campbell boots! Beautiful look! You look absolutely gorgeous, I like the cost per wear idea. gorgeous! i love the knitted jumper! in love with the bag and boots! Love your style! Thanks for pictures. 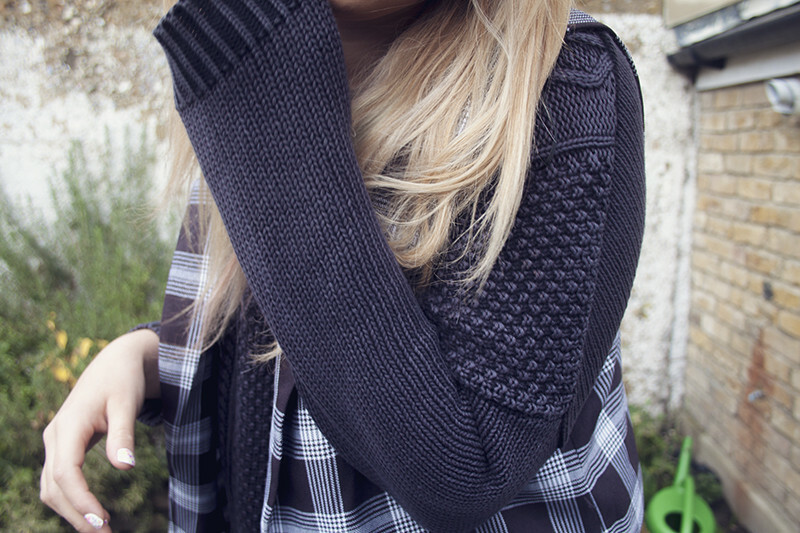 I love this greay jumper and sleeveless check jacket combo! Perfect for the winter season. What a fantastic way to justify your shopping! Thanks a lot - you've made me feel much less guilty about my spends! I actually love that bag, it is amazing!